Every parent wishes for a healthy child. We always do our best to provide for our child so they will get what they need to keep them well and happy. However, fate may change our desires. 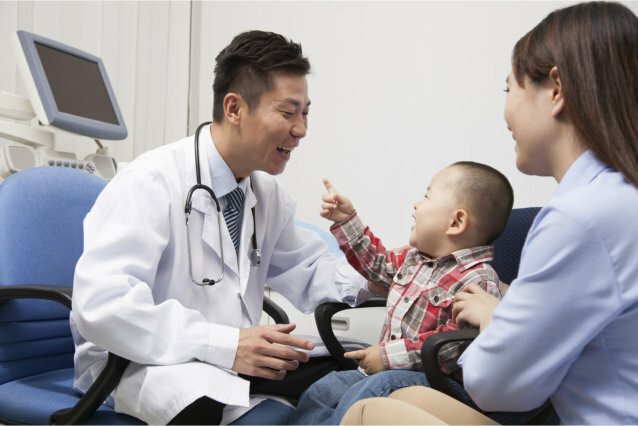 Some parents have to raise a child in a more challenging way because the child is afflicted with a serious illness which may even require the attention of Skilled Nursing Services. The difficulties will start from the time when our child is diagnosed with the disease. More problems might arise while our child is on treatment and these problems may even affect our whole family- between spouses and other children. So here are a few things that we can do to better handle these unavoidable or unpredictable situations. The first major diagnosis of our child may be a traumatic experience – both to us as parents and to our children. We will probably feel frightened, anxious, troubled, and stressed. Despite these emotions, we should not back down from these challenging times but instead, we must be strong for our family. Indeed, it might take time before we could completely understand this situation, but we have to. Once our family has begun to understand our kid’s condition, we shall know every salient information about the disease. The facts that we learn about our child’s illness should be shared to the whole family. Our sick child, if they can already understand, should know what to expect with their illness. The siblings need to know what to expect as well. This way, our other children would not be surprised anymore and would know what to do whenever our sick child experiences tantrums or episodes. >A sick person experiences pain and this could result in mood swings. Some children who are seriously ill might throw seemingly unmanageable tantrums. When this happens, we should know what to do. Make them feel at ease. Ask them where it hurts and try to comfort them. If the doctors allow painkillers to be taken by them, let’s know how to administer it or ask a skilled nurse from a Home Care Agency in Bel Air MD to do it for us. We, the parents, would be the source of our sick child’s strength during the entire treatment. We should also show our other children that we are capable of moving forward with our daily lives despite the fact that one of them is sick. Our strength might come crumbling without support from other people. The most important kind of care we need is from our spouse. We could also get support from organizations founded to keep us sane throughout the healing process. Moreover, Caring Nurses Services is also present- we give the best nursing services which your child will need at home whenever you are away. Challenging times call for strong people. We should not give up on our fate easily. Instead, we should face them head on – together with our family. This entry was posted in Skilled Nursing and tagged Acknowledge the Condition, Changing Emotions, first major diagnosis, healthy child, unavoidable situations, unpredictable situations. Bookmark the permalink.